This was an exciting week for Riverdale fans, Season 2 premiered October 12, where we saw the gang struggle with the emotional aftermath of Archie’s father’s shooting. But perhaps more importantly, Netflix helped Canadian fans celebrate the launch of the new season by opening up pop-ups of Pop’s Chock’lit Shoppe across the country. Last evening, Toronto fans saw Fran’s Restaurant transform into Pop’s Chock’lit Shoppe, the beloved diner from the comic book series and smash hit on Netflix. 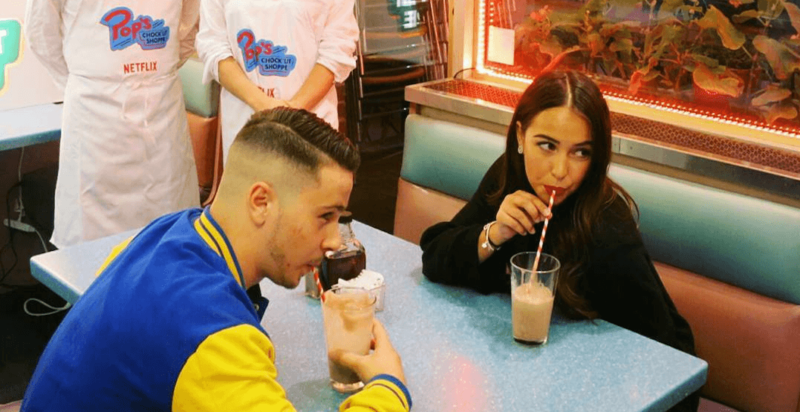 Those lucky enough to get in had the chance to try some Riverdale-inspired milkshakes: the Betty (Old Fashioned Vanilla) or the Veronica (Double Chocolate). If you still want to visit Pop’s for yourself, the pop-up will be open again tonight from 7 pm to 11 pm at Fran’s Restaurant on College.